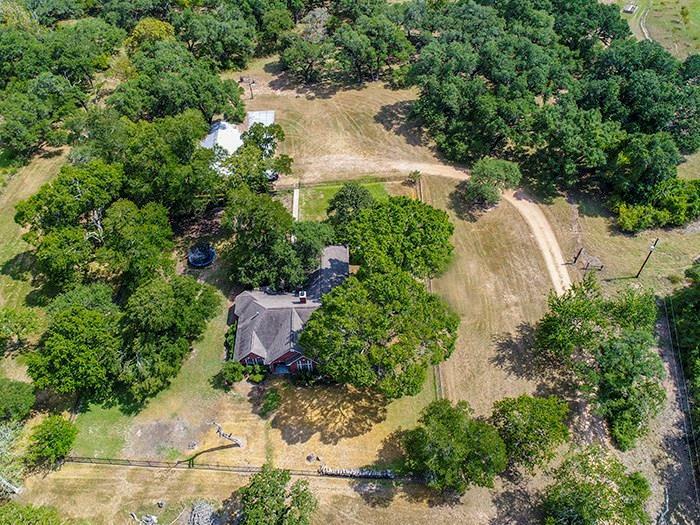 This is a stunning piece of property with majestic oak trees lining the driveway and scattered throughout the pastures and dense woods. You will find an abundance of wildlife here including white tail deer and turkey. 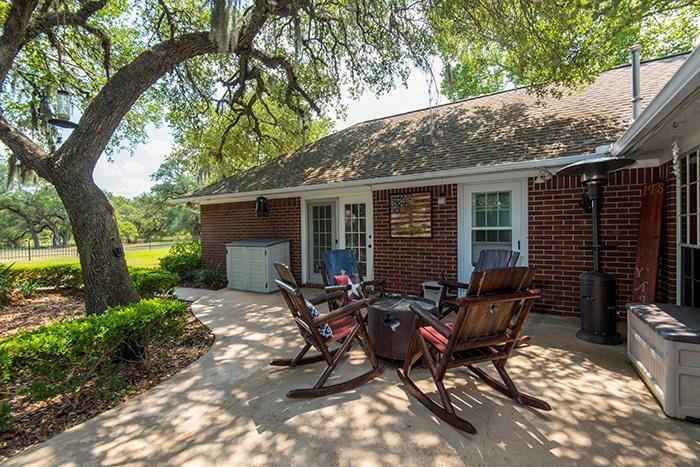 With this kind of property, it's all about outdoor living, and this home has two outdoor patios in back lawn for you to sit, relax, and watch the wildlife or stroll out to the pond to enjoy the views. 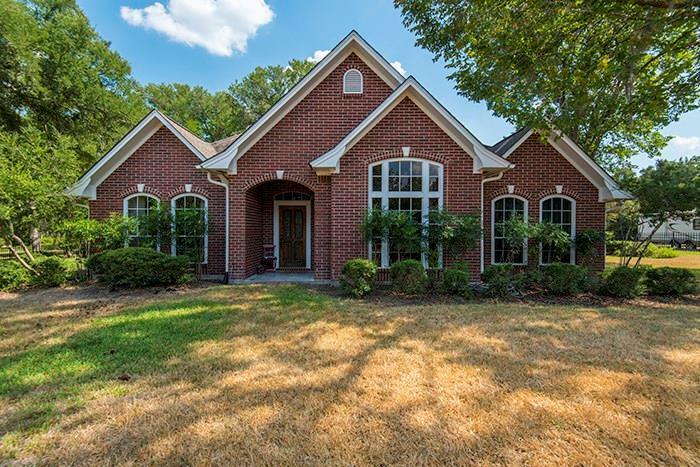 The interior of the home will not disappoint you either; featuring a study, formal dining, 4 bedrooms, and a second Hollywood style bath with separate vanities and large walk in shower in between. 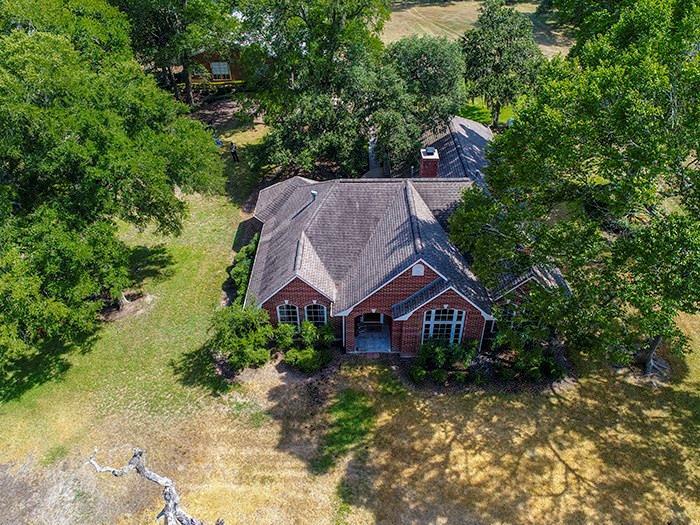 The barn can accommodate your farm/ranch equipment and has living quarters for guests or however you would choose to use the space, with over hang for parking cars and equipment. Property front CR 151, there is no access easement to this property.